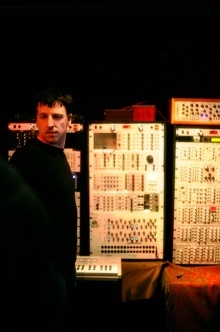 Atticus Ross (born January 16, 1968) is a producer, engineer and musician who collaborated with Trent Reznor on the Nine Inch Nails albums With Teeth, Year Zero, Ghosts I–IV, The Slip and Hesitation Marks, as well as making a guest appearance at the final show of NIN's Wave Goodbye Tour, before officially joining NIN in late 2016. Ross has also collaborated with Reznor on numerous film scores, and frequently collaborates on scores with wife Claudia Sarne and his brother, Leopold. Ross also founded the band 12 Rounds, with Sarne and Adam Holden, who were signed to Nothing Records for a period. He is also involved with Trent Reznor and Mariqueen Maandig Reznor on the How To Destroy Angels project. In 2017, he appeared as part of Nine Inch Nails (in this case consisting of Trent Reznor, Robin Finck, Maandig, Ross, Alessandro Cortini and Joey Castillo of Queens Of The Stone Age) in an episode of the reboot of Twin Peaks. NINJA 2009 Summer Tour EP - "Non-Entity" and "Not So Pretty Now"
Días de Gracia (with Claudia Sarne and Leopold Ross). Also on score: Nick Cave & Warren Ellis and Shigeru Umeyabashi. This page was last modified on 18 March 2019, at 21:06. This page has been accessed 168,608 times.